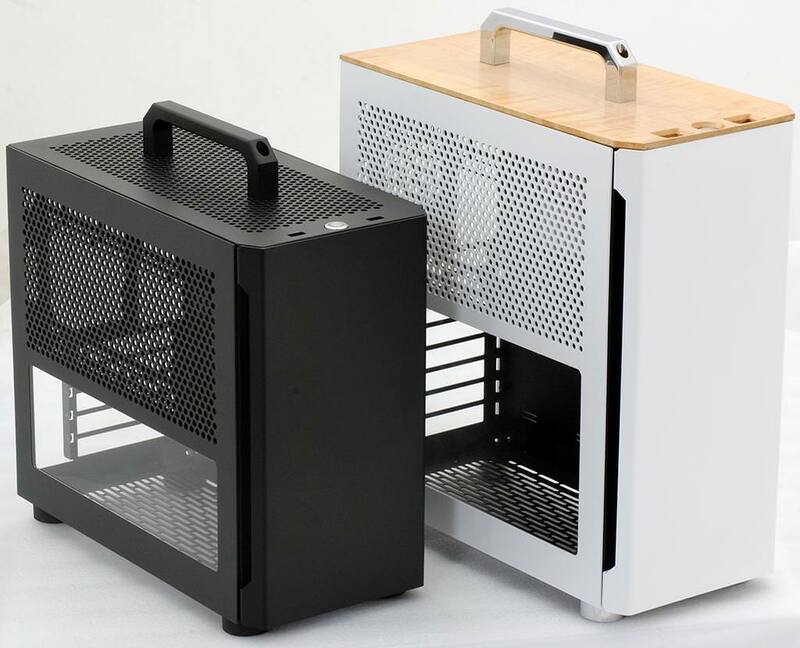 Does anyone know if there's a new revision of the Ncase M1 soon? For example a USB-C port in the front. It's possible V6 will happen next year, but not until after the Chinese New Year at the absolute earliest. That would put it at least March, but quite possibly later. Type C support is frustrating. If you read or watch any of the "what is Type C?" content intended to inform consumers (e.g. this video or this article), it's billed as this great new standard that supports up to 100W of power delivery, twice the speed, even Thunderbolt 3. The problem is, none of that is inherent to Type C, which is just a connector, but rather are part of USB 3.1 Gen 2. And the problem there is that USB 3.1 Gen 2 is supported by literally only a couple of mini-ITX motherboards that use a new onboard header. It's been a couple of years now since this header first showed up on some ASUS motherboards, but it hasn't caught on at all with other motherboard makers, or even ASUS themselves on their latest boards. My own theory about that is that they're waiting until 3.1 Gen 2 is integrated into the chipset, because right now I believe it requires a separate controller. So that leaves us with the following choice: we can add a Type C port, but it will have to run off the old 19pin USB 3.1 Gen 1 header, which doesn't support any of the new stuff. Once boards with the new header come out (assuming that happens), cases with the old 19pin Type C cable will need to be upgraded to take advantage of it, or else become obsolete (if the 19pin is entirely replaced). So incorporating Type C right now feels like an interim solution and a half measure, at best, with a limited lifespan and none of the improvements that it's purported to include. Does that seem worth it? whatanoob, chyll2 and Phuncz like this. I was only trying to fish for possible features/updates to the case, nothing more. I would like to suggest this as well. Im actually interested in a front panel that has nothing except for the power button hole in the center. I never use the headphone or mic ports but I do use the USB ports, but im willing to get rid of both in order to keep the interior more tidy. The other issue is that the USB header cable is too long and stiff for a board like the asrock x299. It needs quite a bit of bends to get it in the right spot. Maybe offering another usb header that has a shorter, more pliable cable would solve that instead of getting rid of it. Is there any news for new V6 revision? Thinking about to buy one soon, but since V5 is ETA quite a while, I was wondering about V6 with maybe modular Front panel or Other finishes (sandblasted black would be great). I would get a white version if that was an update. Next shipping date through SFFLab is January 2nd, that's only 5 days? I couldn't really say when V6 will be ready, but I can guarantee it's still a least several months until you'll be able to order one. That USB connector is comparatively huge btw, and would certainly create issues for anything mounted on the bottom of the case (fans/radiator, or even 2.5 slot GPUs). Thank you. I‘m in no hurry, just wanted to know, what kind of updates a V6 would get. Maybe it‘s worth waiting for me. talkion, Bioforce, chyll2 and 5 others like this. Hmm, may be worth waiting. At least better Ventilation is a reason. Glad to see that my gripes about the bottom ventilation have led to some updates. I think as a fellow owner my big thing would be to have the side panel ventilation run farther down. Like the size of what an acrylic window would be. This way the gpu would have more air. Im sure a lot of people would upgrade their panel if this was an option. Those all sound like excellent improvements. In particular, I love the idea of the Ncase having better ventilation around the GPU. I don't think I've seen any builds in which someone had drives instead of intake fans on the bottom, and I personally expect to do the same when I make my M1 build. It would be a direct improvement for a majority of users. Or even a 2 dot high row right next to where the GPU is, so air can come in and then out of the bottom. Drnrcr, Bioforce and Arboreal like this. Haha, can‘t wait, just ordered one at SFFlab, Seems out of Stock at the Moment. Hope it will ship soon. SFF is great to deal with. Im sure you'll get your case quick. Congrats its an awesome case to build in. Any possibility of a half vented / half window side panel like the Cerberus used to have? I'd love to have a window, but don't want to sacrifice ventilation. Having a window around the GPU while still having the vented top half would be perfect. Any possibility of a half vented / half window side panel like the Cerberus used to have? Thats a great idea to have as an option.